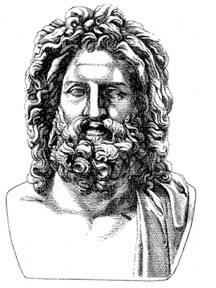 Born in the northern Greek kingdom of Macedonia in July 356 BC, and during the short span of his life, Alexander III of Macedon (356-323 BC) was able to link three continents in a vast international network of trade and commerce. This vast empire was united by a common Greek language and culture, whereas its emperor himself borrowed different foreign customs for him to be able to rule the millions of ethnically diverse subjects. 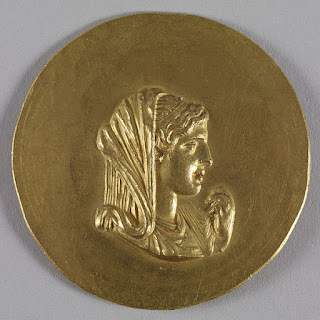 He was the son of Philip II of Macedon, and his wife Olympias. King Philip was assassinated in 336 BC and at the age of 20, Alexander inherited a powerful yet turbulent kingdom from him father. 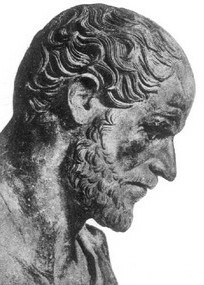 He was educated by the philosopher Aristotle (Aristotle (384-322 B.C.E. 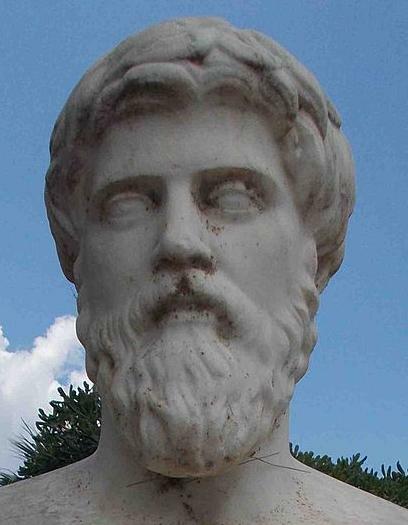 ): Greek philosopher who established scientific classification methods and the school known as the Lyseum) and was trusting his mother, Olympias with is secrets he often consulted her for advice. 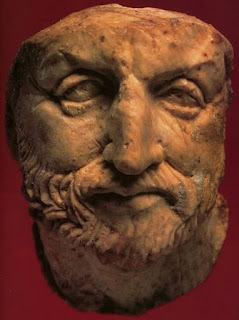 On assuming power, he quickly avenged his father, dealing with his enemies at home, and then turning to affirm Macedonian power within Greece, having done so he set out to expand the Greek Empire by conquering the massive Persian Empire. 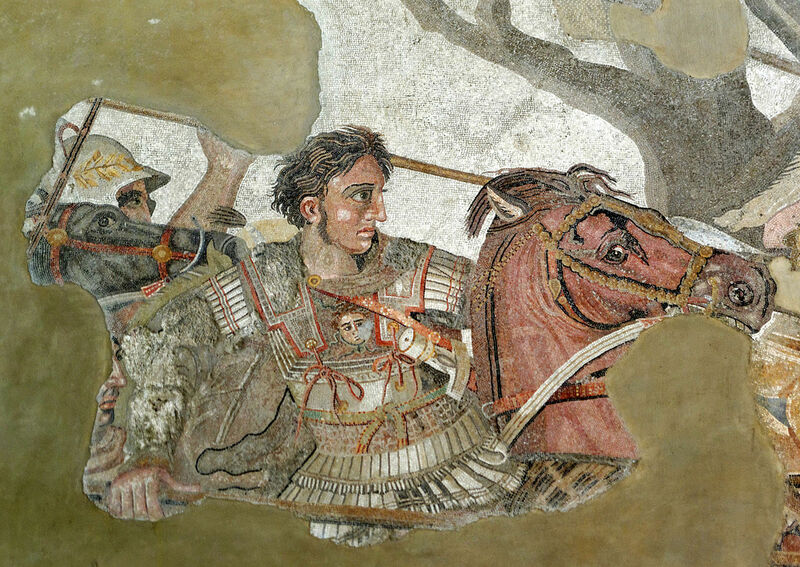 In the time span of eight years as Emperor, Commander and Explorer, Alexander the Great managed to found over 70 cities and secure an area covering around two million square miles, across three continents. This empire stretched from Greece in the west, north to the Danube, south into Egypt and as far to the east as the Indian Punjab. 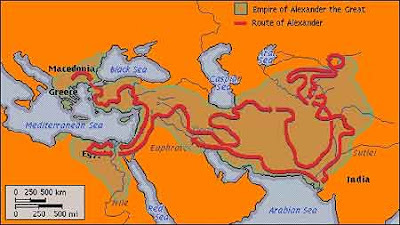 This map shows Alexander the Great's massive empire and the route he took to conquer it. Alexander entered Egypt in 332 BC, and was warmly welcomed by its people, who had been living under the oppressive rule of the Persians. The Egyptians immediately handed the crown of Egypt to Alexander the Great, proclaiming him a god. He submitted to the Egyptian ceremonies, even going so far as to wear Egyptian dress. 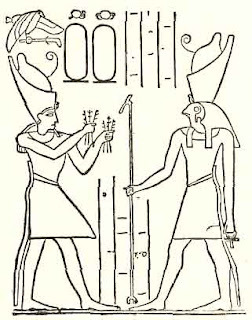 While in Egypt, Alexander made another legendary journey, crossing the perilous sands of the western desert to the temple of the Oracle of Amun, at the oasis of Siwa, were he was declared the son of Amun-Ra, Egyptian god of the sun, whom the Greeks identified with Zeus. This detour confirmed him to be the first pharaoh ever to complete the dangerous journey. Alexander ordered a city to be built at the mouth of the river Nile, Alexandria would become one of the major cultural centers in the Mediterranean world in the following centuries. 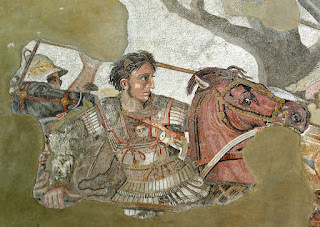 With only some six month sojourn, Alexander left Egypt in the spring (mid-April) of 331 BC a changed man. Although he never returned to see the city he founded, it would eventually be his final resting place when his embalmed body was returned there for burial only 10 years later.